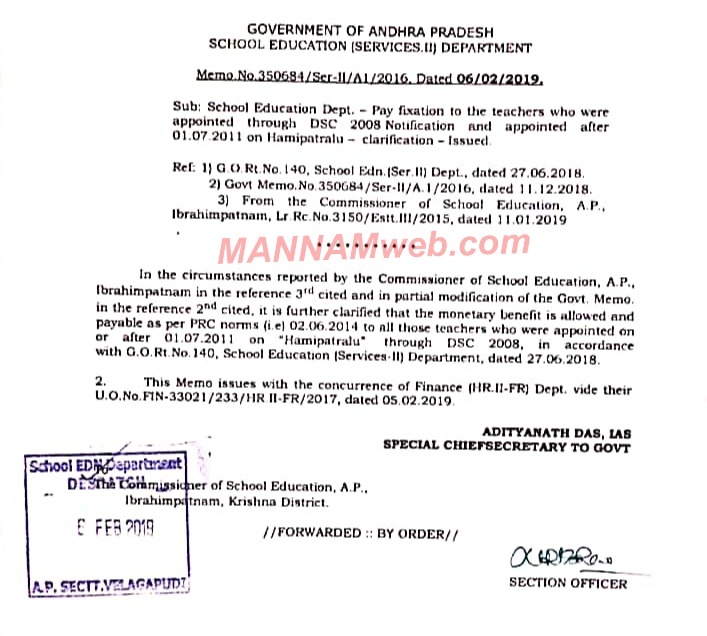 Pay fixiation to the teachers who were appointed through DSC-2008 Notification and appointed after 01.07 20 l l on Hamipatralu - clarification - issuedued. Memo.No. 350684, Dated 06-02-2019.